Designed to be inserted into your everyday carry backpack providing protection under concealment. AR500 Armor® Rimelig 11" x 15" body armor integrates into your existing backpack under cover. Our Backpack Armor will fit into your school bag laptop pocket, hydration pocket, or laptop carry bags capable of accepting up to 15.1” laptops, in most cases also in conjunction with your laptop. The ideal choice for staying prepared in everyday life. 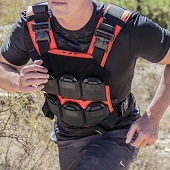 You can now turn your commuter pack into an armored backpack capable of defeating hard hitting pistol rounds in a concealed carry system. 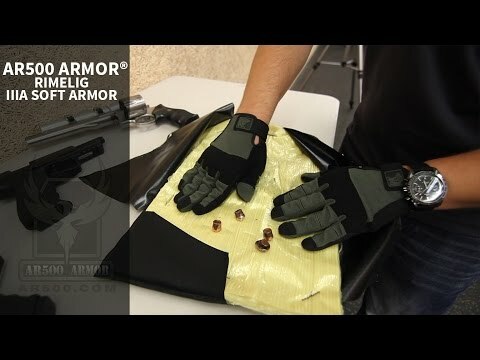 Which IIIA Soft Armor to choose - AR500 Armor® Hybrid or Rimelig IIIA Soft Body Armor? Ordered on March 1st, received on May 18th but it said 4 week lag time. I wrote them once I started to get nervous that I had been swindled but they responded right away saying "currently orders for armor have about a 4.5 all the way to 10 week lead time depending on the level and type of the armor," which was reassuring. It was a much longer amount of time to receive my order but it was actually delivered, in about 14 weeks and appears to be free of flaws and high quality. Tom from customer service also said in his response, "Since you have level IIIA armor I would expect 7-8 weeks from order palcement [sic] before this ships." So there appears to be two separate periods, a lead time and a processing time maybe. Maybe I misunderstood or overlooked something that explained this better. Anyway, I was very happy with the 11" x 15" Level IIIA Rimelig Backpack Armor that fits perfectly in my briefcase just as advertised. I even ordered more for my home and my office now that I know AR500 is an honest company but just to expect a much longer wait period than the "ESTIMATED LEAD TIME" which is fine because I don't anticipate having to put it to use and hopefully never will.